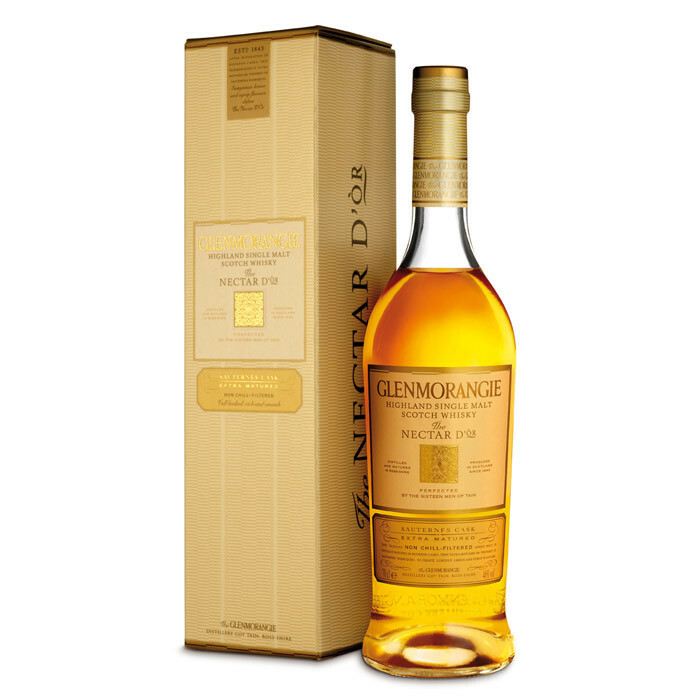 Glenmorangie's Nectar d'Or is finished in Sauternes casks for 12 years. This is sweet and spicy with notes of ginger, nutmeg lemon meringue and honeycomb. It’s worth pointing out that Nectar D’Or means “golden nectar,” as “Or” is the Scottish Gaelic word for “gold.” Along with sweet flavors from the wood, there comes a nice deep golden color, hence the appellation that calls attention to the color of this whisky. This is a sauternes finished single malt from the Glenmorangie distillery, a fruity, vinous release from the Highland distillery.